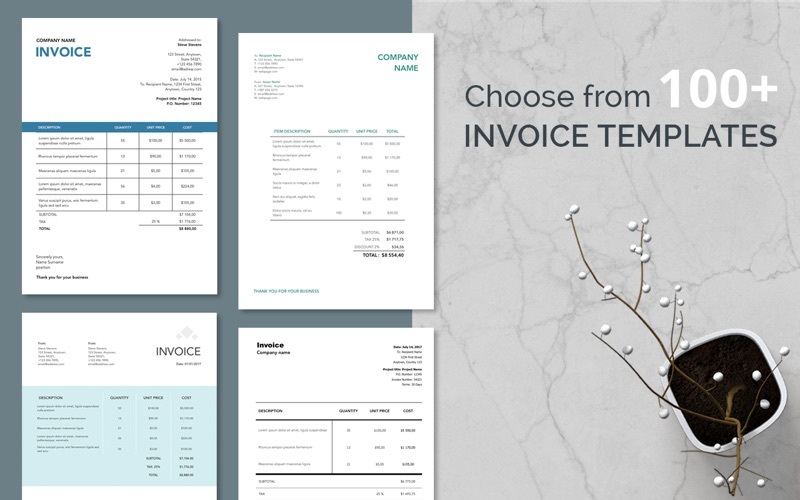 Show you really mean business with this complete collection of invoice templates. There’s a wide mix of styles to match your brand – from corporate to creative, with plenty in between. What’s more, they’re fully customisable, so you can easily get them exactly how you and your clients need. 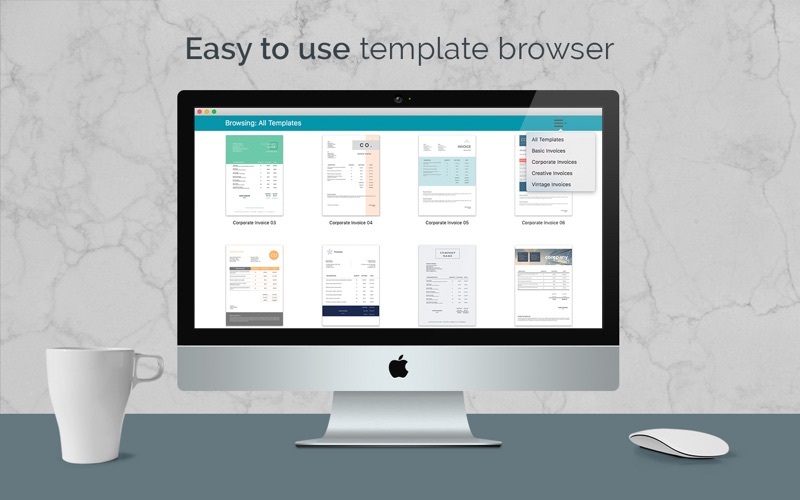 The templates include built-in spreadsheets for automatic calculations. 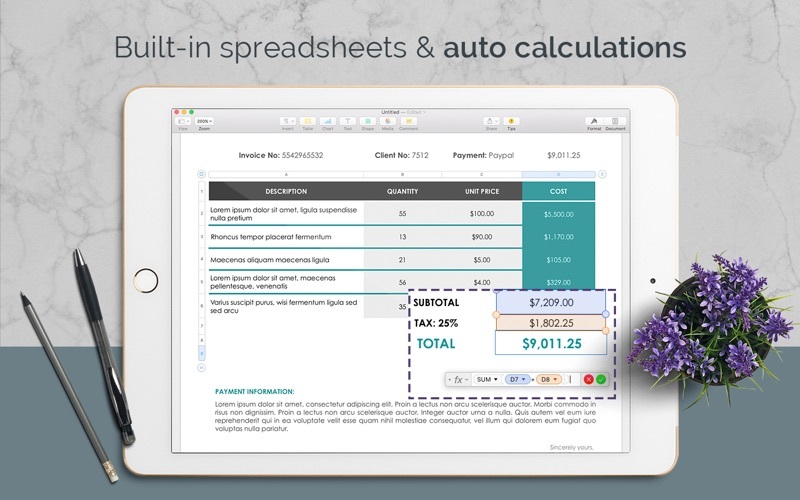 No more headaches with formulas or worries that your sums don’t add up. 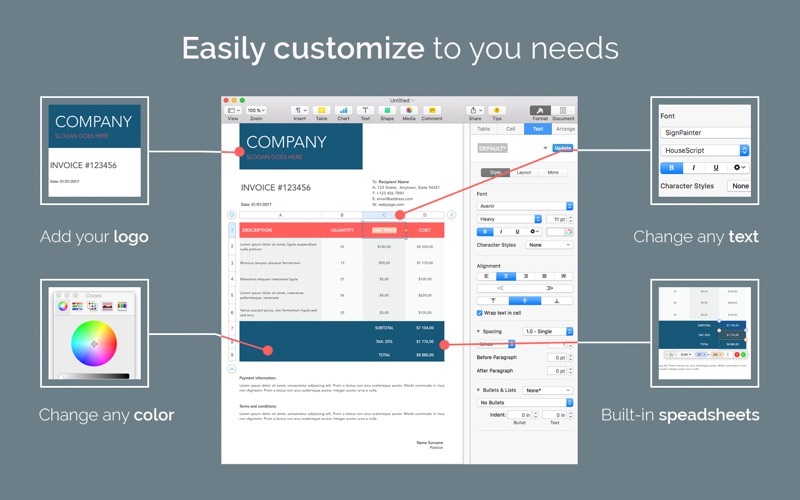 Billing has never been easier or faster! 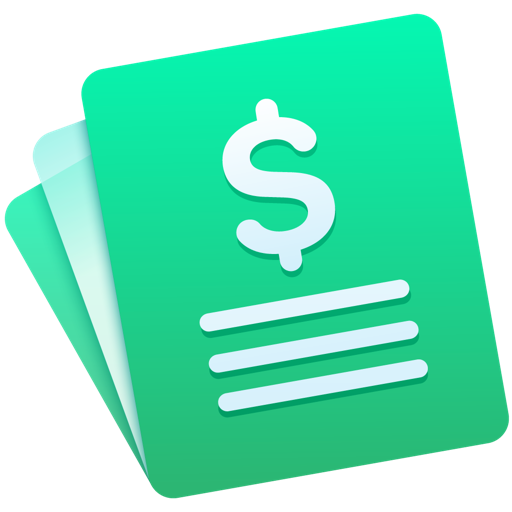 * Invoice Templates - 100+ Invoices for Pages requires Pages 5.6, or later.